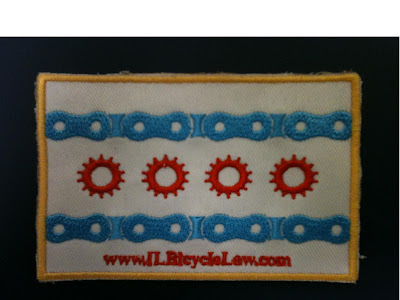 In honor of "Bike to Work Week," Keating Law Offices and www.ILBicycleLaw.com have updated the Chicago Bicycle Flag patches to include gold trim so they look even more like the official patches worn by city personnel. The Chicago Bicycle Flag was created to honor the City of Chicago and its strong bicycle culture. Keating Law Offices and www.ILBicycleLaw.com will be at the Bike to Work Rally on Friday at Daley Center handing out patches and stickers with the Chicago Bicycle Flag. 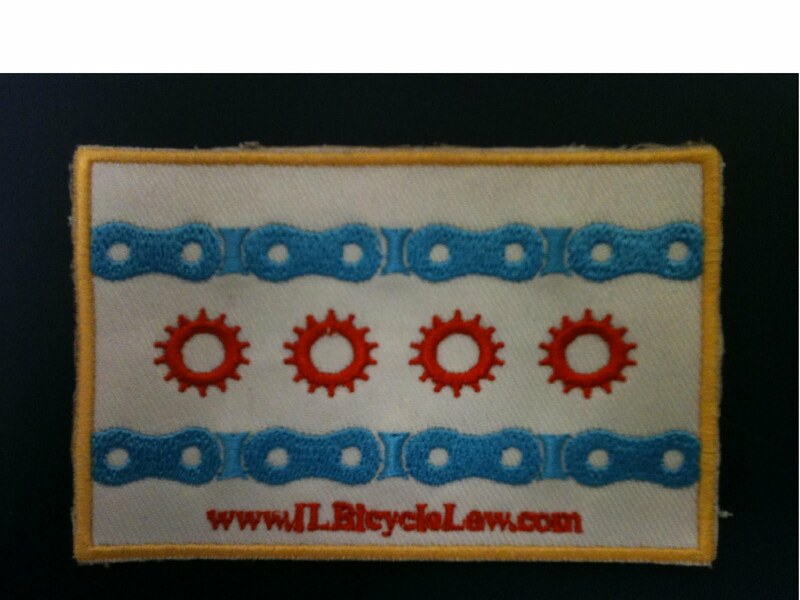 *The Chicago Bicycle Flag is a trademark and copyright of Keating Law Offices, a Professional Corporation.